We are dedicatedly engaged in manufacturing and supplying a commendable range of Impact Crusher. - Ideally suited both for recycling and for the crushing of limestone. The high quality produced by our MAG’Impact® allowed Magotteaux to penetrate all major markets such as concrete, asphalt, ballast, recycling…. - TRIO offers the APP Series crushers for high-production primary and recycling applications and the APS crushers for high production secondary or recycling applications. Hammer Mills operate on the principle that most materials will grind or crush upon impact with the hammers. Hammer Mills are designed for fine crushing of soft till medium hard, non abrasive and non adhesive materials, such as coal, limestone etc. 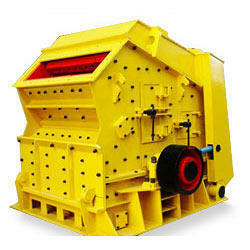 We bring forth highly efficient Impact Crusher in the market. Numerous Rollcon Crushers have been installed all over the world across applications.